JVonD and Mike Brooks visit the BCC meetup at the Spot Gym and get an interview with presenter Peter Mortimer. Also check out scenes from the Flagstaff Trash Bash and a Fourmile Fire Benefit featuring Mountain Standard Time. 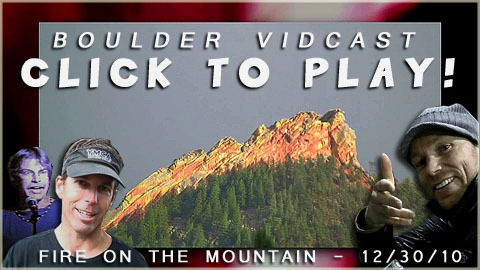 This entry was posted by JVonD on January 2, 2011 at 4:47 pm, and is filed under Bouldering, Climbing, Flatirons, Fundraiser, Interview, Live Music. Follow any responses to this post through RSS 2.0. Both comments and pings are currently closed.